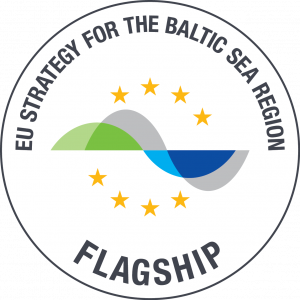 The overall objective of the Project: improve the sustainable accessibility of the Eastern Baltic Sea Region (EBSR) in freight and passenger transport. NSB CoRe contributes to the European Union TEN-T Transport Infrastructure Policy, that connects the continent between East and West, North and South, by taking its implementation to the regional and local level by connecting the TEN-T core network corridor (CNC) of North Sea Baltic to its catchment area and access routes in EBSR. NSB CoRe implements TEN-T Regulation from a regional development perspective and brings the needs of peripheral regions to the CNC context. Case studies at regional scale on improved connections between NSB CoRe corridor and 2nd level transport systems. VASAB Secretariat as one of the project`s “North Sea–Baltic Connector of Regions” (NSB CoRe) partners is inviting You to participate in Regional workshop on better connectivity with North Sea – Baltic corridor in Finland, Northern Sweden and Northern Estonia. The Conference will travel from Berlin via Poznan, Lodz, Kaunas, Riga, Tallinn to Helsinki, Vaasa and Umea with the aim to explore the NSB CoRe transport corridor, test already existing connections and discover the future steps in the development of the corridor. NSB CoRe project partner meeting will be held on 8-9 March 2018 in Hamburg, Germany. VASAB Secretariat in Vaasa, Finland, is organizing a regional workshop on accessibility needs along the North Sea-Baltic TEN-T corridor in the Northern Baltic Sea Region. The 6th and the final regional workshop of the project NSB CoRe is organized during the E12 Atlantica Transport final conference "A Borderless Future!". VASAB Secretariat is inviting You to join the first regional seminar on TEN-T North Sea-Baltic (NSB) Corridor improvements that is organized as part of elaborating a joint spatial vision on regional development, logistics and mobility of the North Sea-Baltic corridor. Local, regional and national authorities on spatial and transport planning are invited to join a discussion, have an input in shaping the contents of the vision and share their expertise and deepened knowledge about NSB corridor.